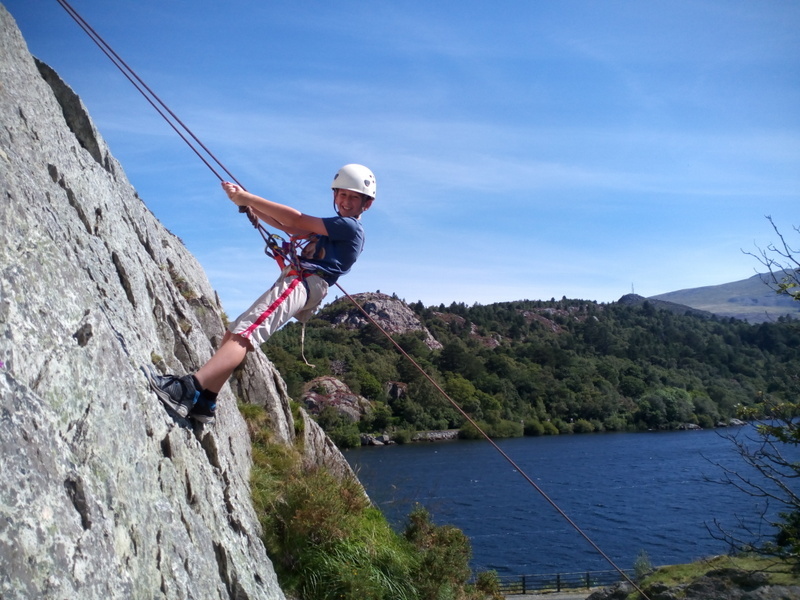 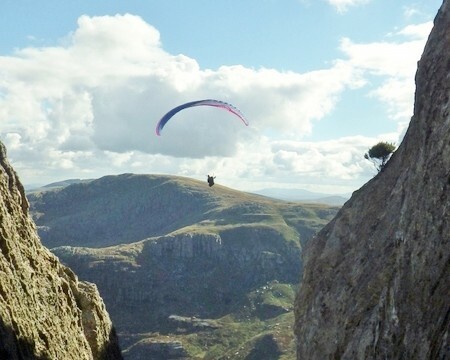 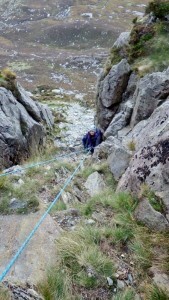 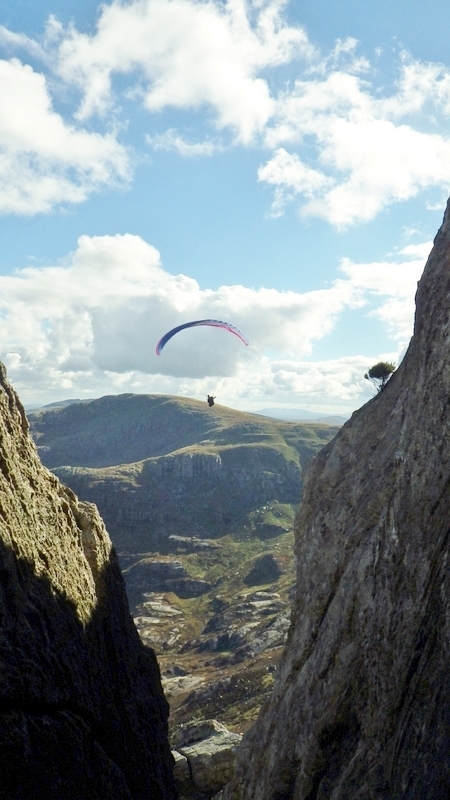 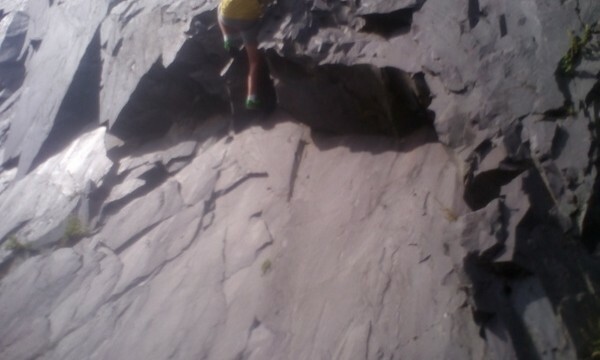 Rock scrambling in Snowdonia. 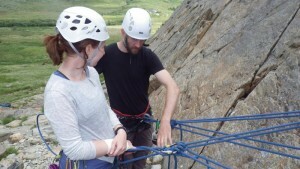 Katie and Bill spent the weekend rock scrambling on ground up to grade 3. 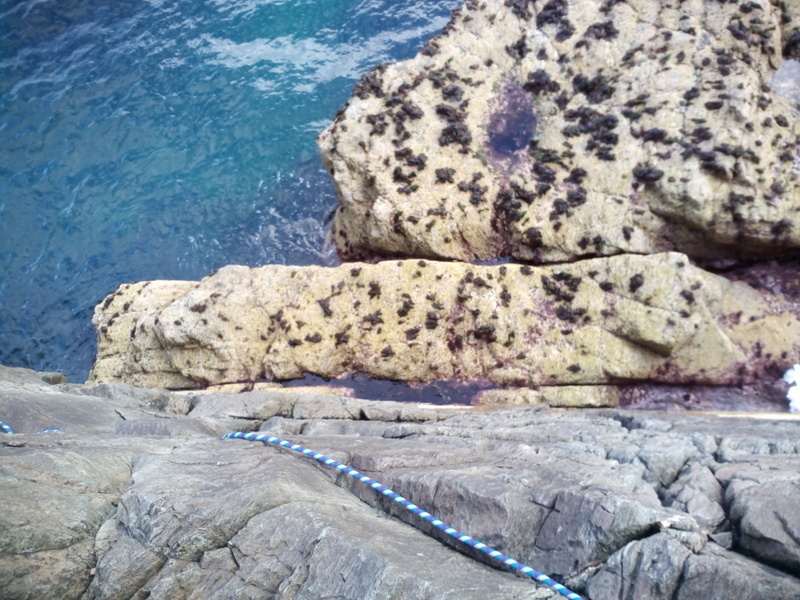 Learning rope techniques in order to cope with this type of ground safely. 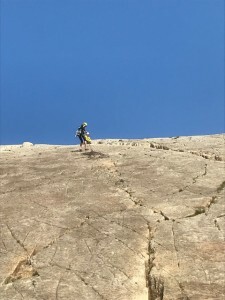 We started on grade 1 with short roping techniques and migrated into grade 2. 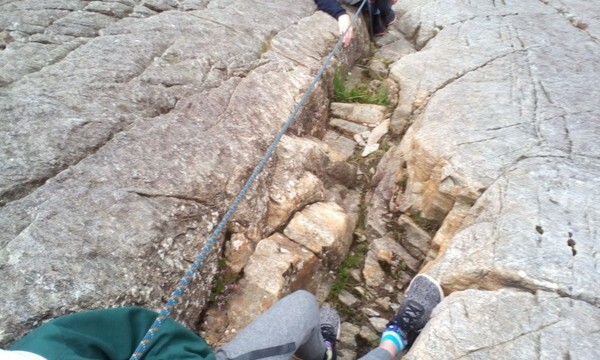 This is when the rope started to get used. 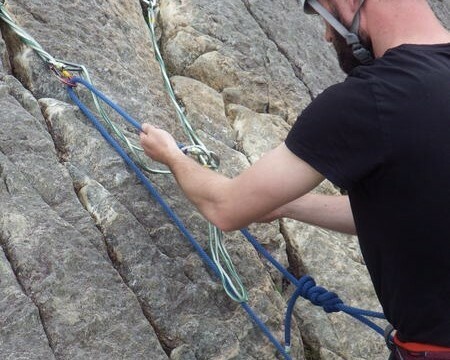 Using a short pitching technique, we kept things moving fast. 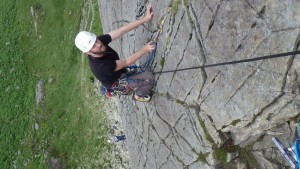 Finally, we ended up on grade 3 ground where full pitching was being employed. 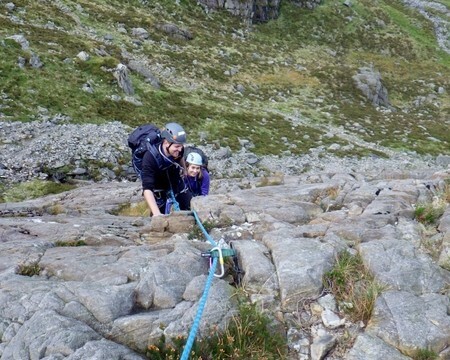 The next day we went on to the North Ridge of Tryfan scrambling up to grade 2 using techniques learned on day one. A great few days rock scrambling in the Ogwen Valley in Snowdonia. 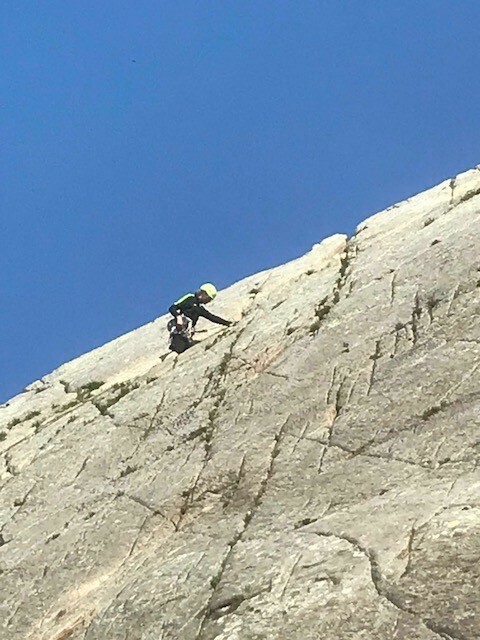 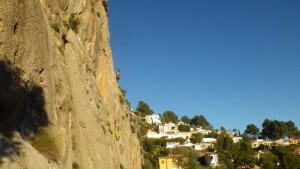 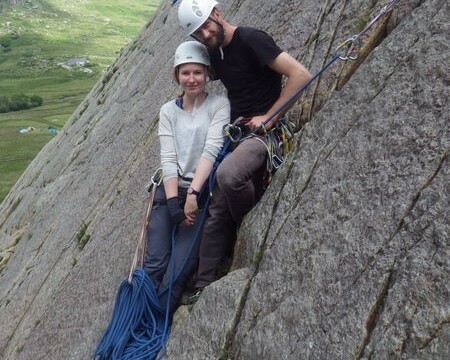 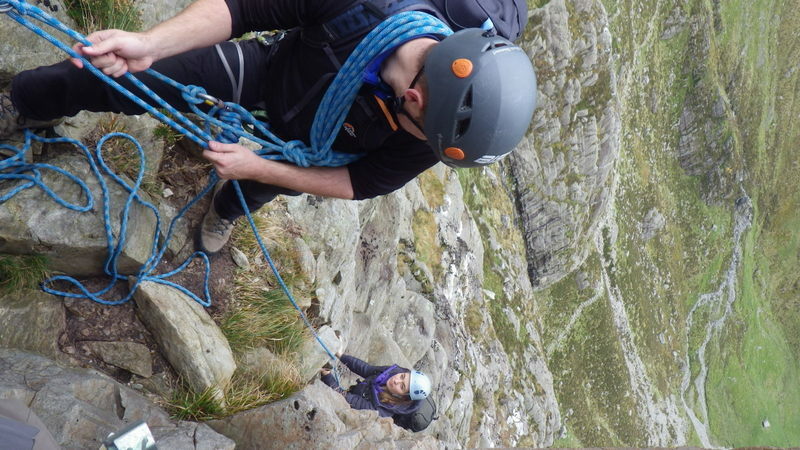 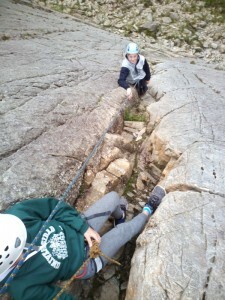 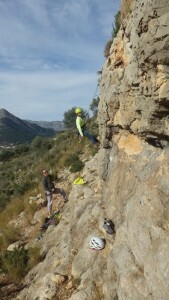 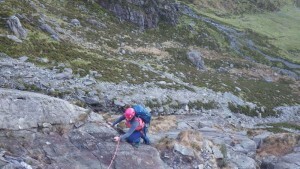 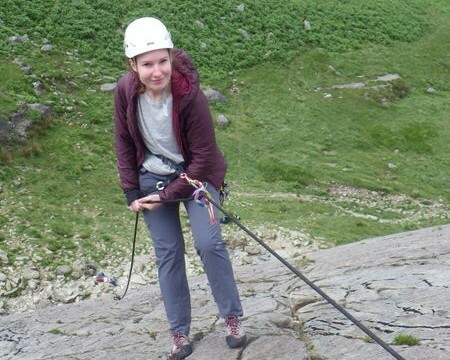 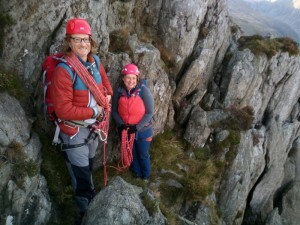 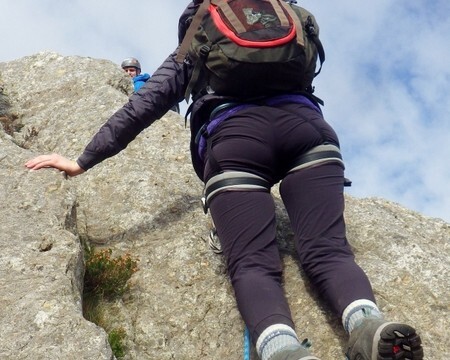 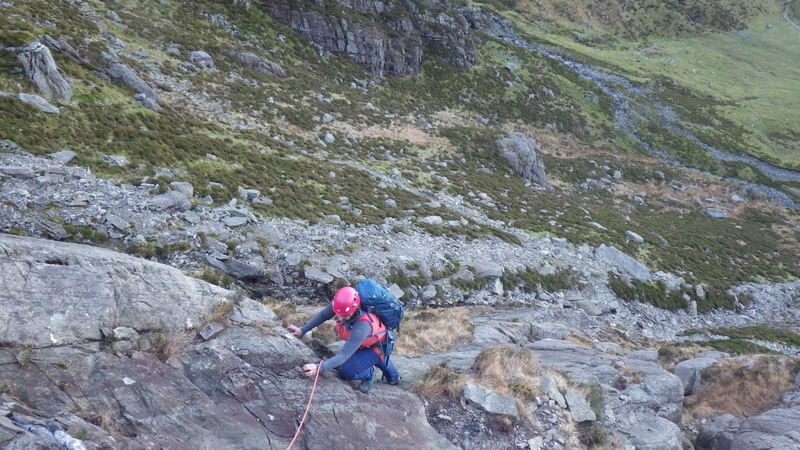 Emma spent 2 days learning how to place gear and manage herself on multi pitch trad rock climbs. 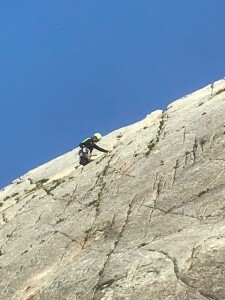 She is already a very good climber on the wall but wants to move outside. 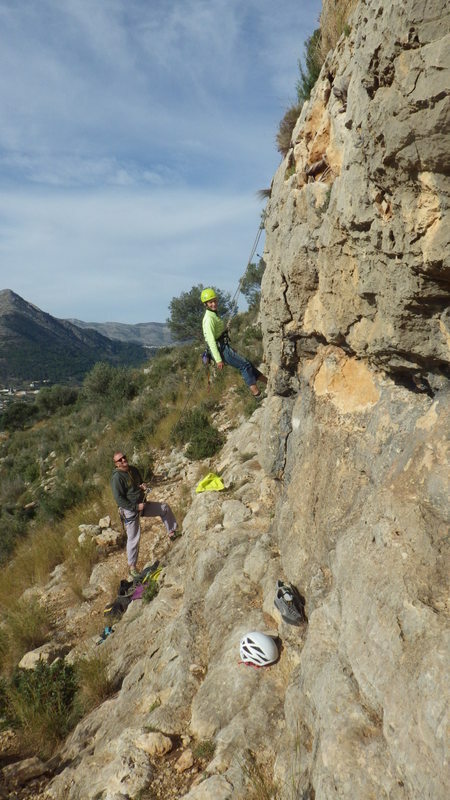 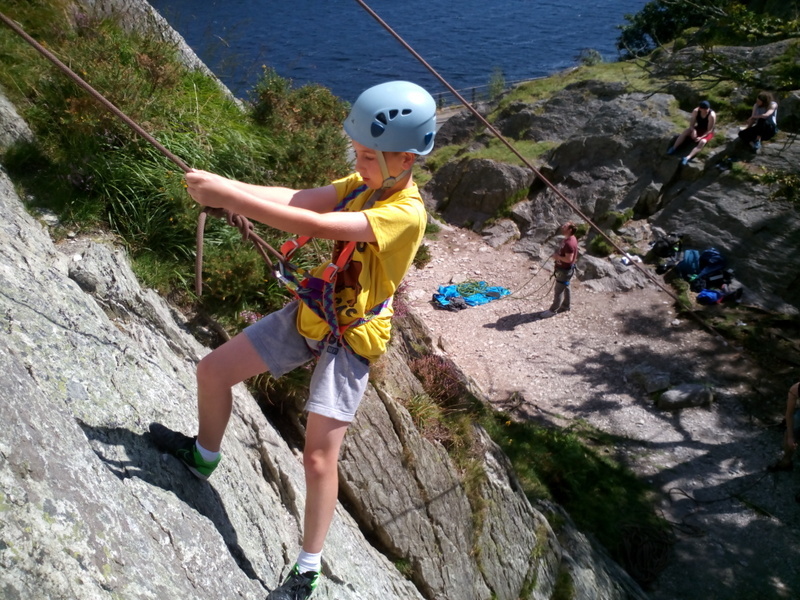 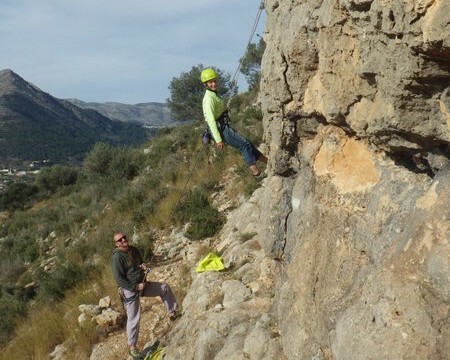 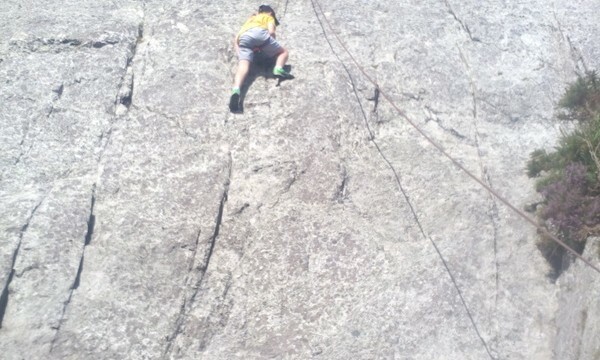 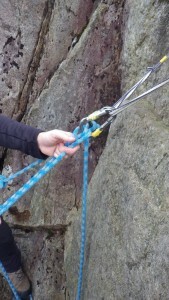 We looked at placing gear, belay stance management and retreating and retrieving her rope from a rock climb. By the end of the couple of days it had all come together for her. 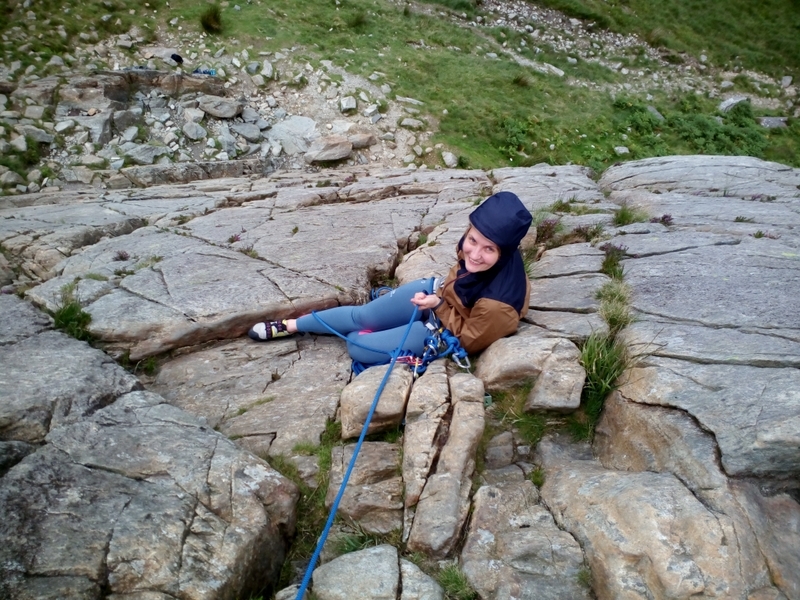 Emma welcome to the trad world of Rock climbing! 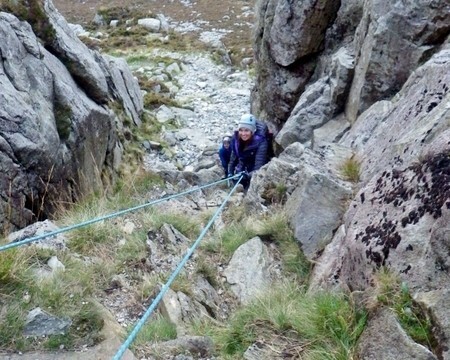 Rock scrambling in Snowdonia. 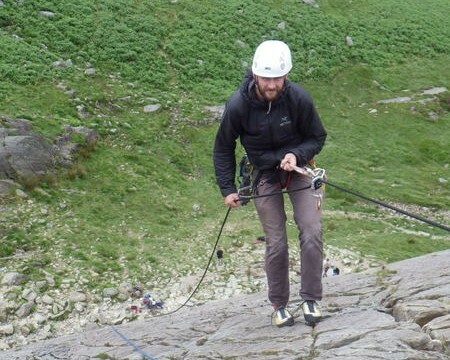 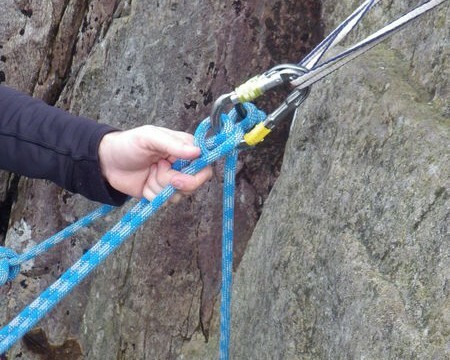 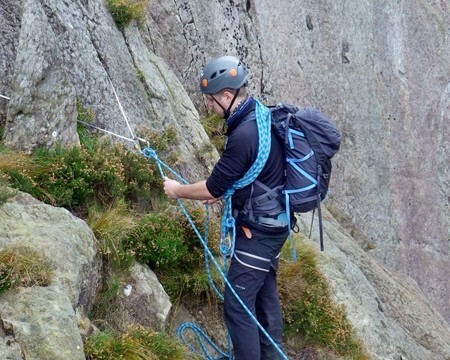 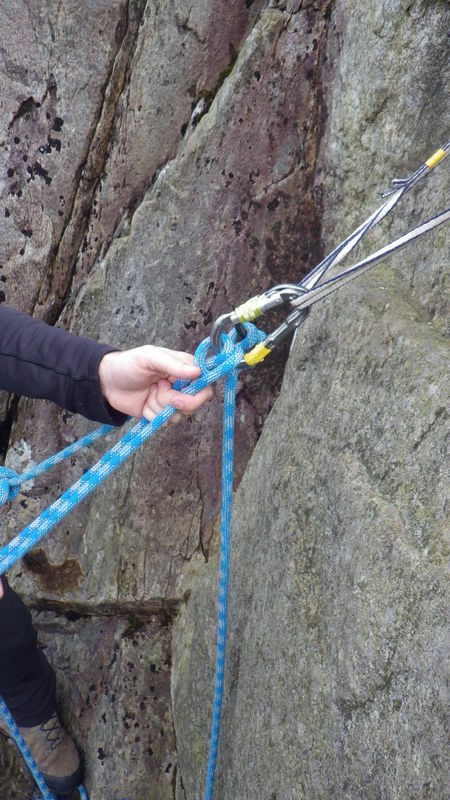 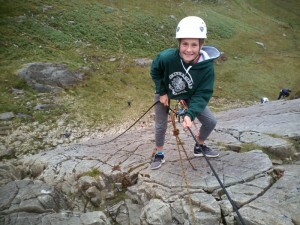 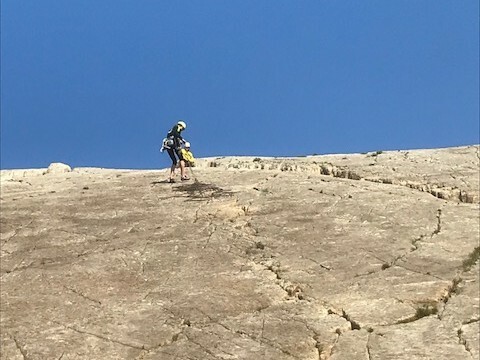 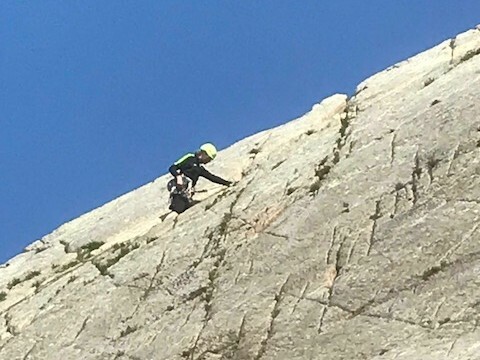 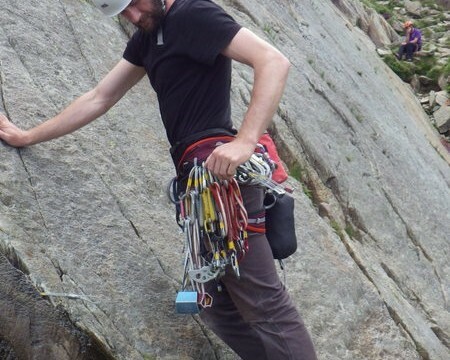 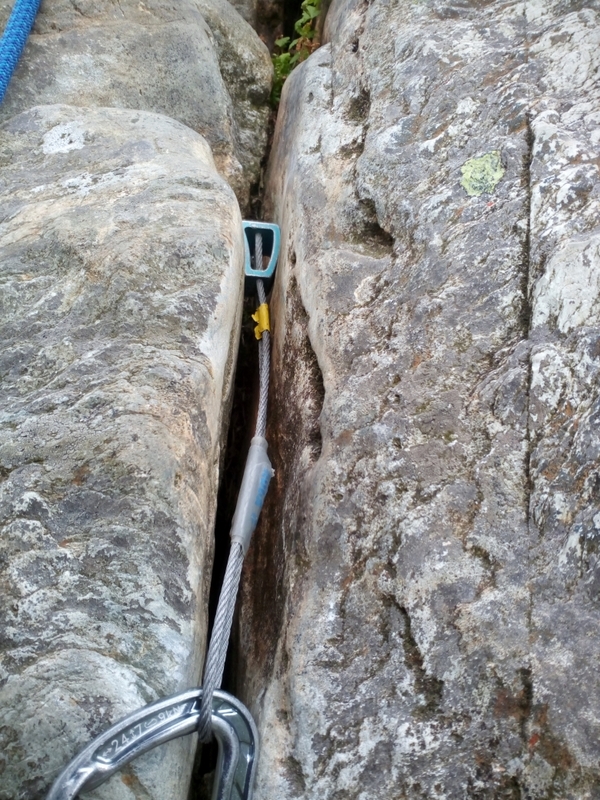 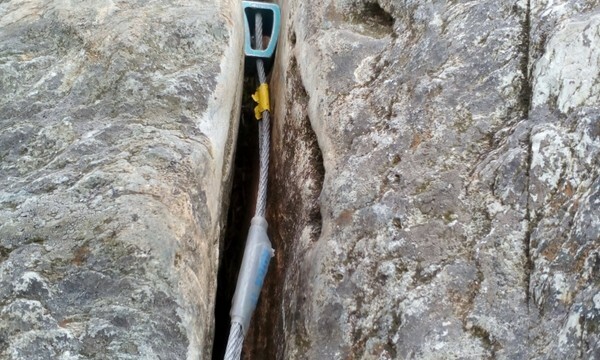 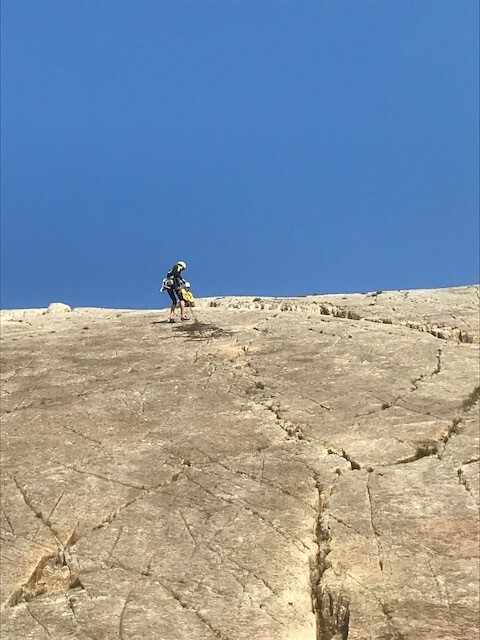 Developing a fast rock scrambling rope technique. 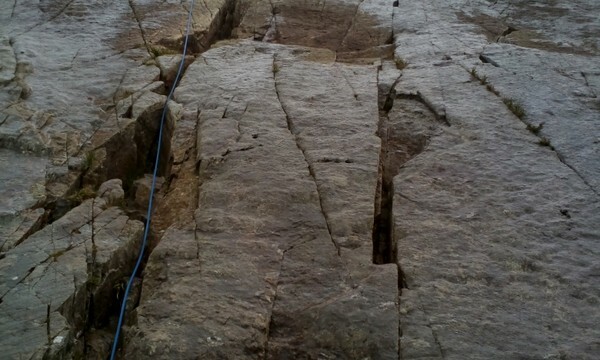 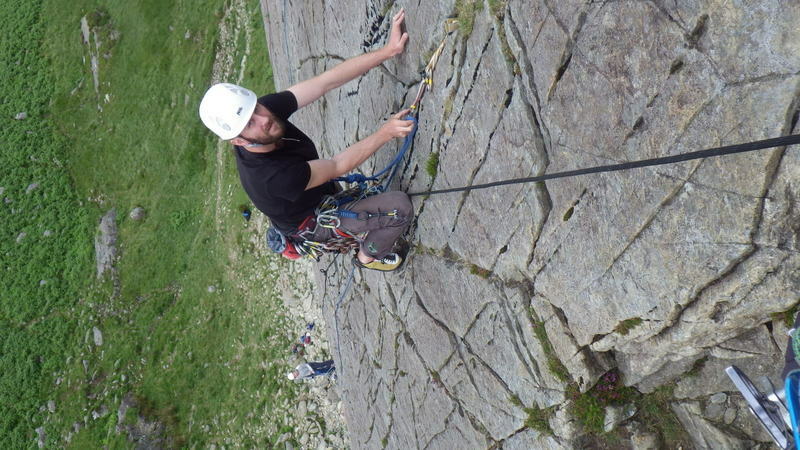 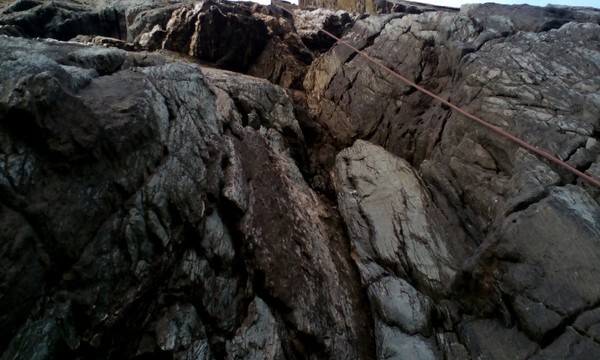 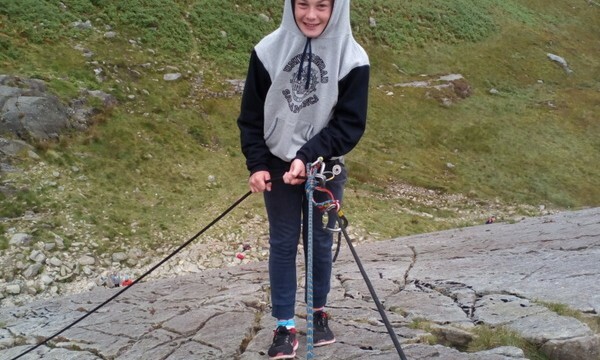 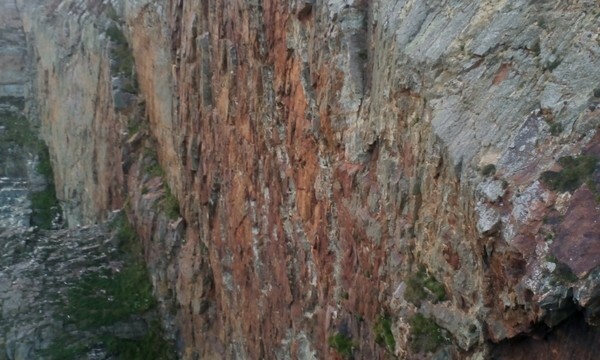 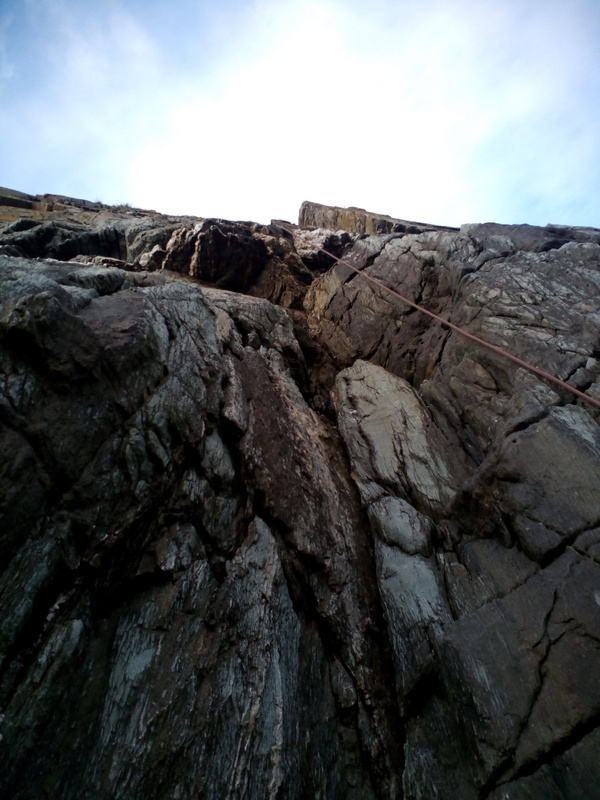 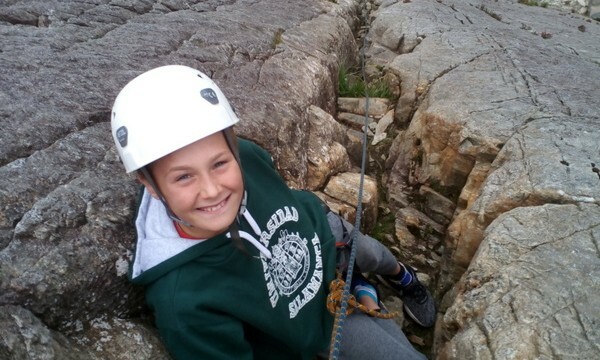 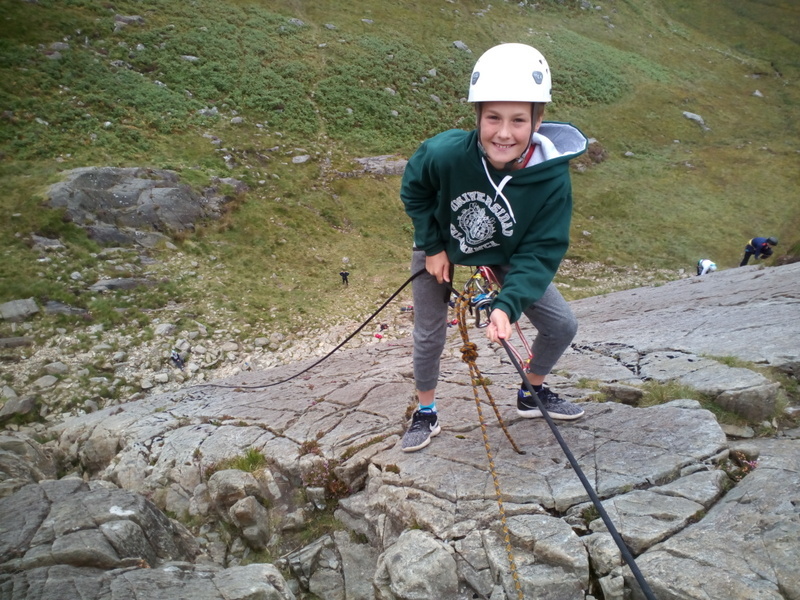 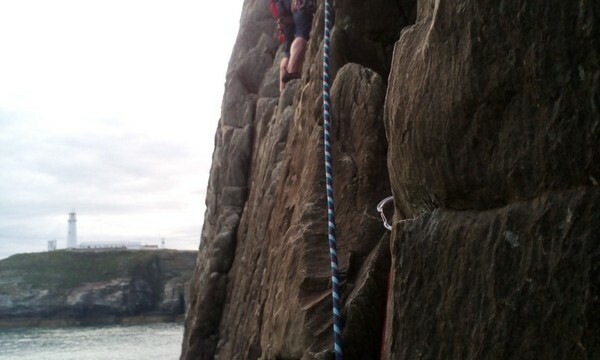 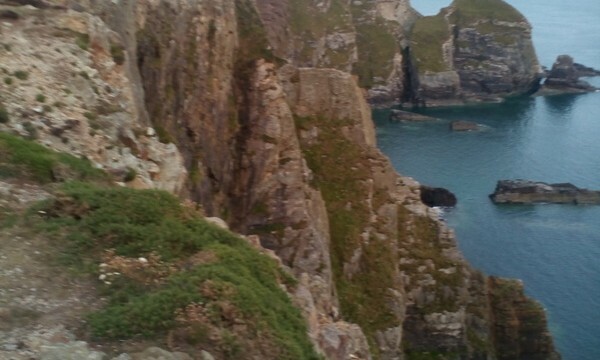 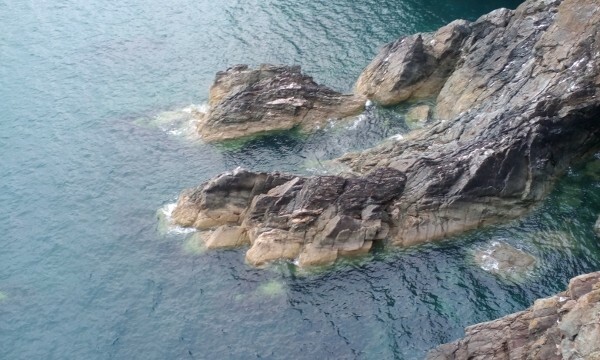 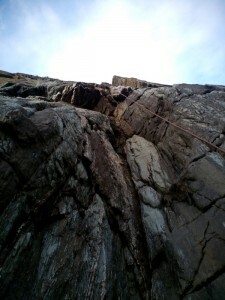 A great weekend out sea cliff climbing at Gogarth on Castell Helen. 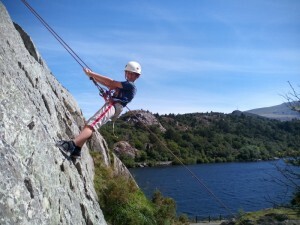 Beautiful warm weather as the summer continues.